The A259 at Ferring has now reopened after a gas leak saw the road closed for more than 24 hours. In a statement on its website, posted just after 6pm, Sunday, January 22, SGN said: “We have now reopened the westbound lanes and one lane eastbound of Littlehampton Road. “Traffic will be able to pass our work area in this lane. The other eastbound lane will be reopened once the road reinstatement has hardened. The road has been closed between the Goring Street roundabout and the roundabout for Old Worthing Road since around 6pm yesterday evening so SGN could carry out emergency repairs on a gas main. They were assisted by police and the fire service. The nearby Asda Superstore was evacuated as a precaution and remained closed while the road was shut. 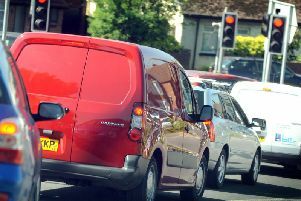 Neighbouring roads were extremely congested at various points as a result, including northbound on the A280 towards Angmering and Clapham.